The Malaysian Nature Society today (Saturday, 7 July) launched its inaugural World Firefly Day celebration as part of a new global initiative to create awareness about these little beetles that are an essential and beneficial part of the ecological landscape. Themed “We’re small and bright, please don’t forget us”, the two-day celebration was held at Kampung Kuantan Firefly Park, one of Malaysia’s most famous firefly tour ventures that heavily involves the local community. The event featured exhibitions, talks, engagement with local communities, activities for schoolchildren and firefly boat tours. Alongside it was the launch of MNS’s latest local community empowerment initiative, called Komuniti PAKAS (Pusat Aktiviti Kesedaran Alam Sekitar, or Environmental Awareness Activity Centre). A sister initiative to MNS’s Urban Community Forest, PAKAS is focused on local communities living within and near environmentally sensitive areas in rural and non-urban areas. In his welcoming speech, MNS President Henry Goh said World Firefly Day was a terrific idea to shine the spotlight on fireflies, which served as an indicator of an ecosystem’s health and biodiversity, and a possible income generator for local communities. Using Kampung Kuantan as a prime example of community-involved ecotourism ventures, Goh said the firefly night tour, which was set up in the 70s, benefited from a push by MNS in the form of promotions, and protection as a restricted-activity area. He said this was part of MNS’s focus on community empowerment, which would be boosted by the Komuniti PAKAS initiative. He said through PAKAS, MNS would be able to assist local communities in capacity building, in line with good forest governance practices. As part of PAKAS, the celebration saw the formation of the Firefly Community (Komuniti Kelip-kelip), as well as workshops and sharing sessions with MNS’s existing groups under the Wetlands Community (Komunity Tanah Lembap), Flyway Community (Komuniti Laluan Burung Hijrah) and Wildlife Community (Komuniti Hidupan Liar). The launch of World Firefly Day 2018 and Komuniti PAKAS was officiated at by Azman Dahlan, Setiausaha, Majlis Daerah Kuala Selangor, on behalf of its Yang Dipertua, Rahilah Rahmat. In his address, Azman reiterated the role of fireflies in securing a source of ecotourism income for the people of Kampung Kuantan, especially the boat rowers. He said according to MDKS figures, in 2018 up until April, some 20,000 visitors bought tickets for the boat tours, netting the rower collective approximately RM250,000, which was in line with the Council’s annual projections. Nonetheless, he said more could be done in protecting firefly areas, and welcomed World Firefly Day as one of the ways to create public awareness and highlight the message that everyone should work together to handle environmental issues. MDKS is the partner organiser for World Firefly Day 2018, Malaysia. World Firefly Day, which is slated for the first weekend of July each year, was mooted by the Fireflyers International Network, of which MNS is honorary secretary. In her World Firefly Day message, FIN Chair Dr Sara Lewis said the celebration “provides an opportunity for everyone – even those who have never seen fireflies – to get familiar with these charismatic yet mysterious insects: their biodiversity, ecological roles, challenges faced, and socio-economic importance as a tourist attraction”. (L-R) Azman Dahlan, Setiausaha, MDKS; Mohd Rizan Haron, Penghulu Mukim Pasangan; and Henry Goh, President of the Malaysian Nature Society. FIN is an international group of firefly scientists and enthusiasts established in 2017. Its mission is to serve as a leader and catalyst for the conservation of fireflies and their habitats through research, education and advocacy. With over 200 members representing more than 20 countries, FIN includes scientists, artists, conservationists, and naturalists, all unified by a shared sense of wonder and delight in these bioluminescent beetles. 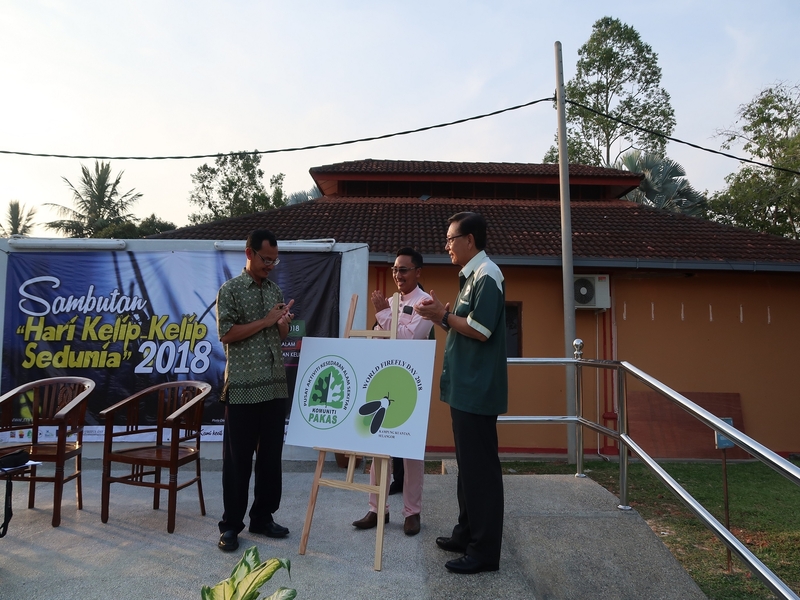 Pusat Aktiviti Kesedaran Alam Sekitar (Environmental Awareness Activity Centre) is expected to assist Local Community Groups in capacity building, giving them the necessary skills, knowledge and training towards better forest governance. 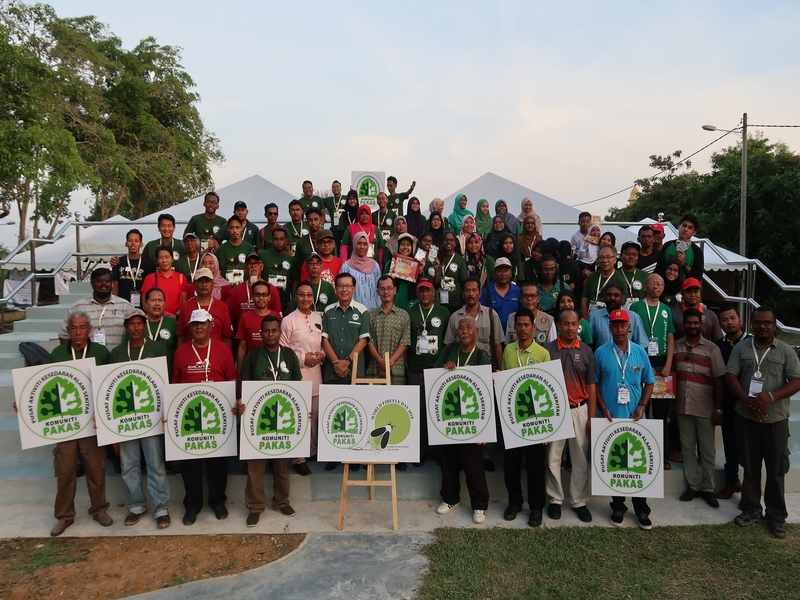 PAKAS, geared towards rural and non-urban communities, is the sister arm of MNS’s Urban Community Forest initiative, and part of its international UCF Network. Established in 1940, the Malaysian Nature Society (MNS) is the oldest and largest membership-based environmental non-government organisation (NGO), with over 3,000 members in 14 branches across the country as well as international members. The branches cater to the needs of the membership and form the focal point of conservation activities in each State. Being a membership-based organisation, MNS has been the reason behind the protection of many key habitats as well as national and state parks in Malaysia.